Complete our car rental search form now to get the best rates for car rental Ajaccio! 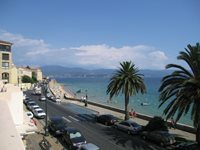 Explore a beautiful bustling city of Ajaccio with cheap car rental! Rentalcars24h.com gives you an opportunity to compare prices of the leading car rental companies to get the best car rental deals. Along with the best prices for car hire service you get excellent level of service and quick booking procedure. Get car rental you want for the price that you like with Rentalcars24h.com! After choosing Ajaccio car rental location, we advise you to examine Must Know and Places to Visit points with car rental Ajaccio! 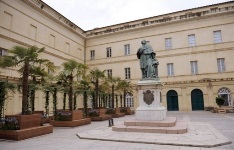 Being the birth place of the French Emperor Napoleon Bonaparte, the city of Ajaccio is the largest city and the administrative center of the island of Corsica. Ajaccio is located on the western side of the island, about 390 kilometers south-east of Marseilles. The city has plenty of places to explore, including different museums, cathedrals, squares and cozy cafes. A variety of festivals are available for music lovers. They are held in different months to celebrate local traditional songs. Come to Ajaccio and enjoy your time in here! This place is a pearl of Ajacco and must be visited using your car rental vehicle. This is the house where the legendary commander Napoleon was born and spent his childhood. Home runs daily except Mondays. Invisible presence of Bonaparte comes here through all the items in the house: portraits, busts and medals with his image. The palace of Fesch, Napoleon’s uncle, is another lovely abode. It is decorated with a collection of Italian paintings dating back to 15-16 centuries, where you can see the paintings of Botticelli, Lorenzo di Credi, Veronese and Titian. Next to the palace there is a chapel of Emperor Napoleon III built specifically for the burial of the remains of the Bonaparte family. 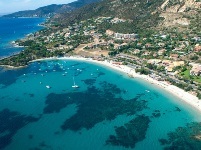 Get car rental Ajaccio and miss your chance to visit this amazing place! 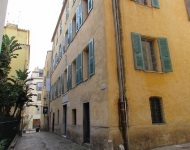 The Old Town is interesting not only for the famous museums, but also for the Cathedral of St. Mary, which is located at the intersection of Forsioli-Conti and Saint Charles streets, where you can easily get using your car rental Ajaccio. 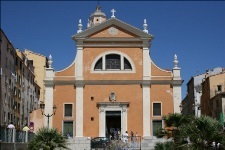 It is a wonderful temple in which still stands a marble font where Napoleon was baptized. One of the chapels of the cathedral is decorated with "Virgin of the Sacred Heart" by E. Delacroix (1798-1863). The square of ​​Austerlitz is a noisy and crowded place. When you arrive here on your car rental vehicle, you will find Napoleon’s souvenir boutique at the entrance. 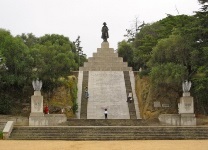 And Napoleon, which two narrow stairs lead to, is watching the urban bustle from the top of the stone pyramid. An inscription carved on the stones, says: "Napoleon I – The Emperor of France, 1804-1815." RentalCars24h.com offers you reliable car rental Ajaccio services that will help you to feel free and independent when moving around the town. Providing best online prices for car hire Ajaccio services, RentalCars24h.com allows you to save money each time when you rent a car in Ajaccio.